Hi, Katherine Applegate! My heart always smiles when you visit Watch. Connect. Read. Thank you for answering two questions and for finishing three sentence starters. Are you ready?? Katherine Applegate: I love doing these! I miss when Twitter only allowed us to use 140 characters. How would you have tweeted a summary or teaser of ENDLING: THE LAST pre-280 characters? Katherine Applegate: I miss it, too. I liked the challenge. Two characters to spare. I’ve still got it! Well done! How will you celebrate ENDLING: THE LAST’s book birthday on May 1, 2018? Katherine Applegate: By working on ENDLING #2! 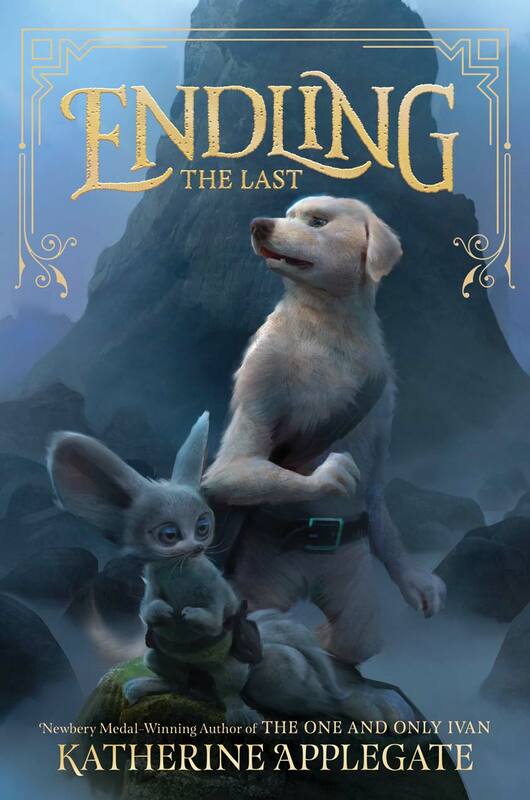 Max Kostenko‘s cover illustration for ENDLING: THE LAST is just incredible. Kids are going to love it. He had to create two new species from scratch—a “dairne,” who looks a bit like a standing Labrador, and a “wobbyk,” who resembles an adorable fox with giant ears. Byx is... despite her small size and great self-doubt, a truly tough female character. She was so much fun to write. Look for Endling: The Last on May 1, 2018. First Katherine Applegate thrilled readers with the action-packed Animorphs series. Then she stole our hearts with the award-winning The One and Only Ivan. Now she takes us on an unforgettable journey in this first book of an epic middle grade series! Byx is the youngest member of her dairne pack. Believed to possess remarkable abilities, her mythical doglike species has been hunted to near extinction in the war-torn kingdom of Nedarra. After her pack is hunted down and killed, Byx fears she may be the last of her species. The Endling. So Byx set out to find safe haven, and to see if the legends of other hidden dairnes are true. Along the way, she meets new allies—both animals and humans alike—who each have their own motivations for joining her quest. And although they begin as strangers, they become their own kind of family—one that will ultimately uncover a secret that may threaten every creature in their world.